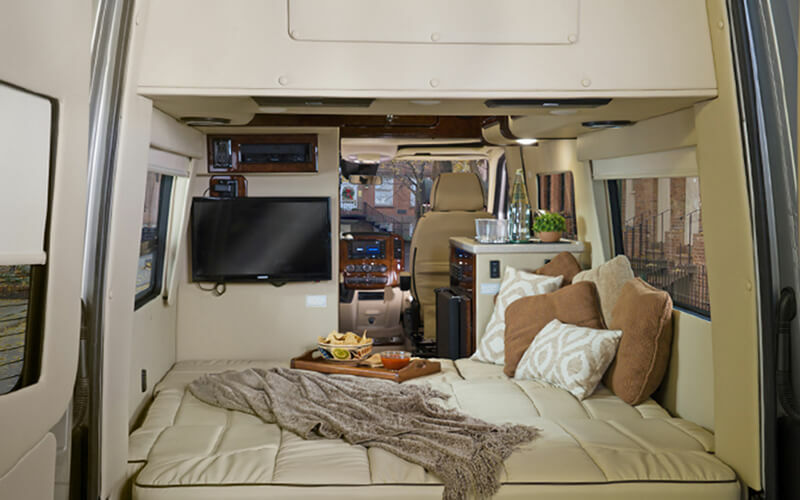 The Midwest Automotive Designs Passage Sprinter RV Camper Van provides stunning luxurious elements alongside unsurpassed driveability. 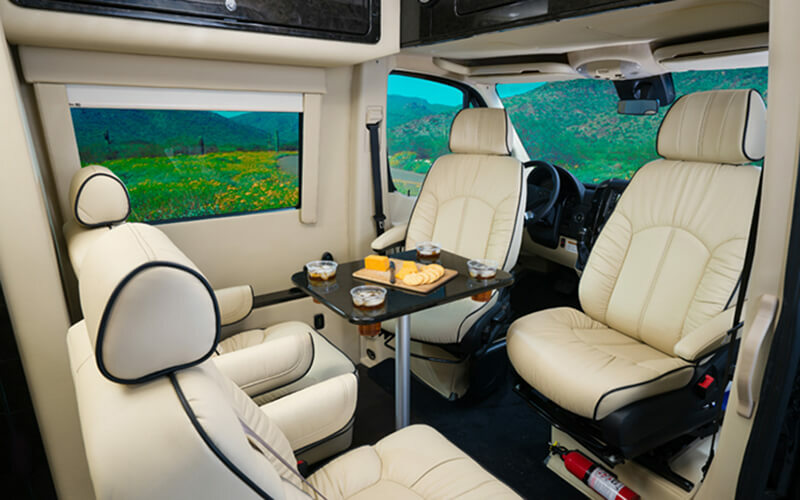 You will always have the Midwest Automotive Designs Passage guarantee of high-quality and individualized attention to detail that you can see in the hand-stitched leather seating and polished wood veneer cabinets. The comfortable and luxurious use of leather extends to the captain’s chairs while modern interior lighting extends throughout the cabin. 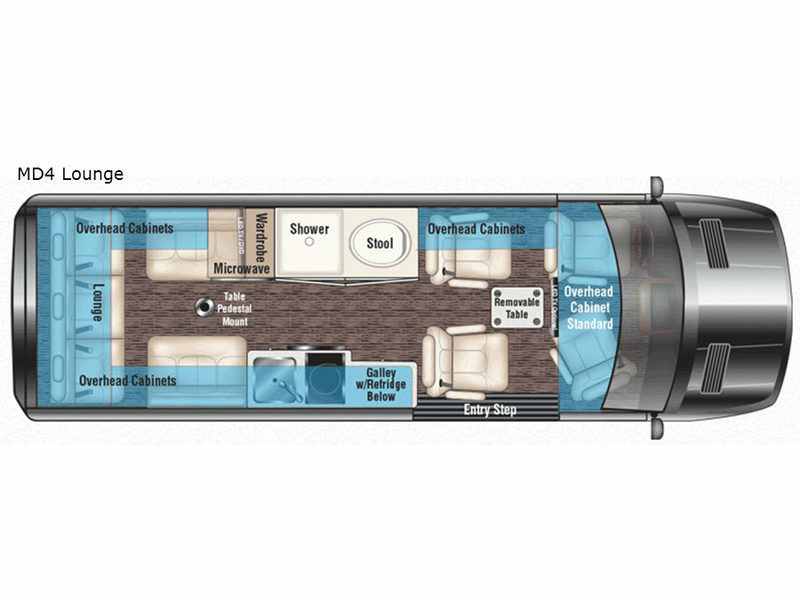 Whether you need hot water or cold air, the Midwest Automotive Designs Passage RV has you covered. 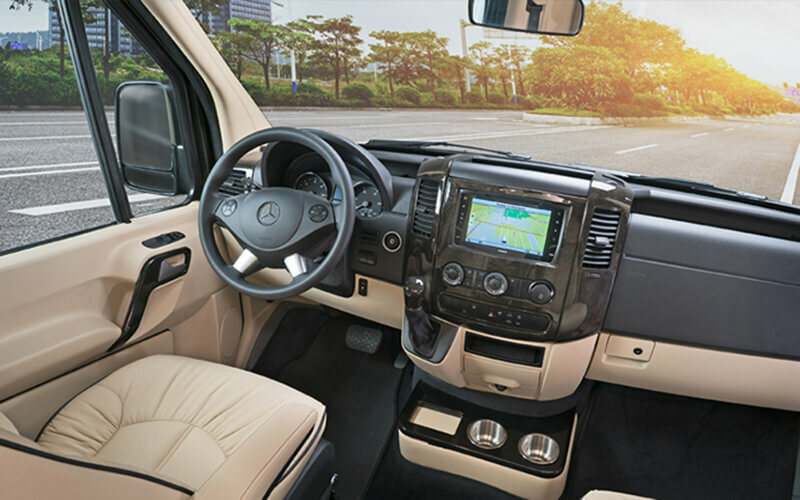 Powerful and durable air conditioning will keep you cool during those hot summer nights, and a warm shower powered by a Suburban tankless water heater is just a few feet away when you need to clean up after a long day of hiking. 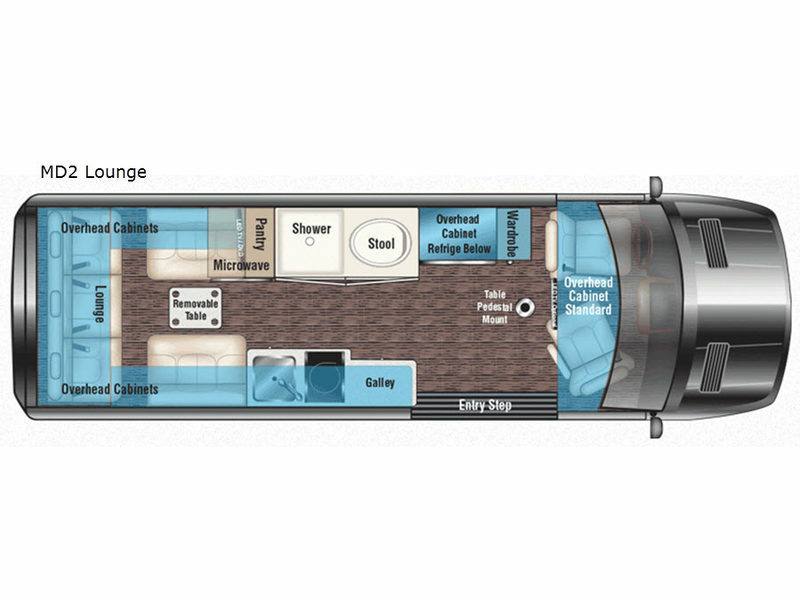 Looking for a go-anywhere RV camper van that lets you get away from it all – and take an abundance of luxury along for the ride? 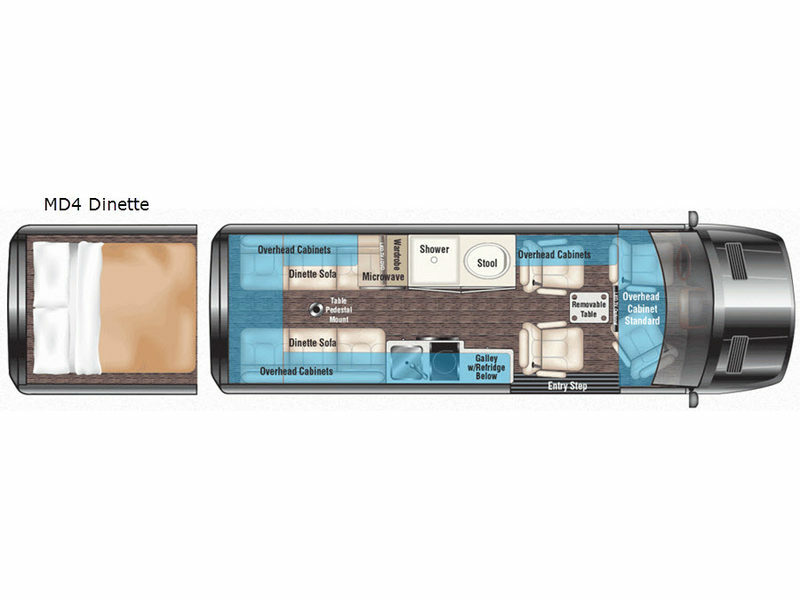 Our Passage 144 custom RV camper van checks all the boxes. 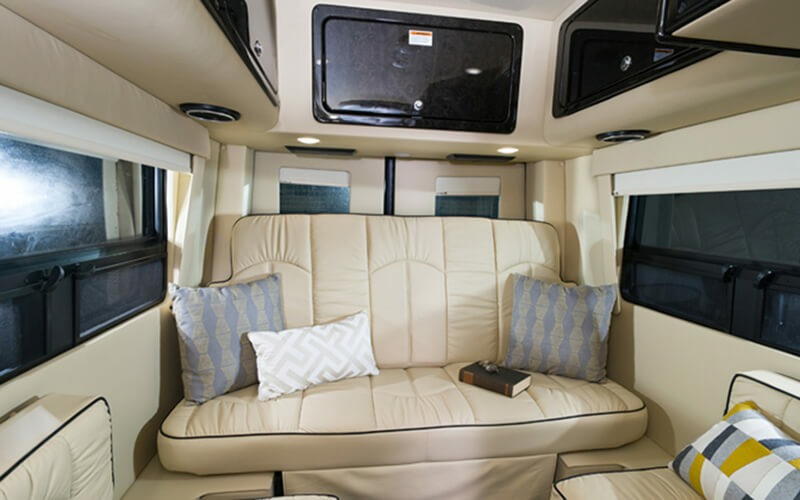 Meticulous leather-clad upholstery and polished wood veneers throughout the interior confirm its Midwest Automotive Designs pedigree. 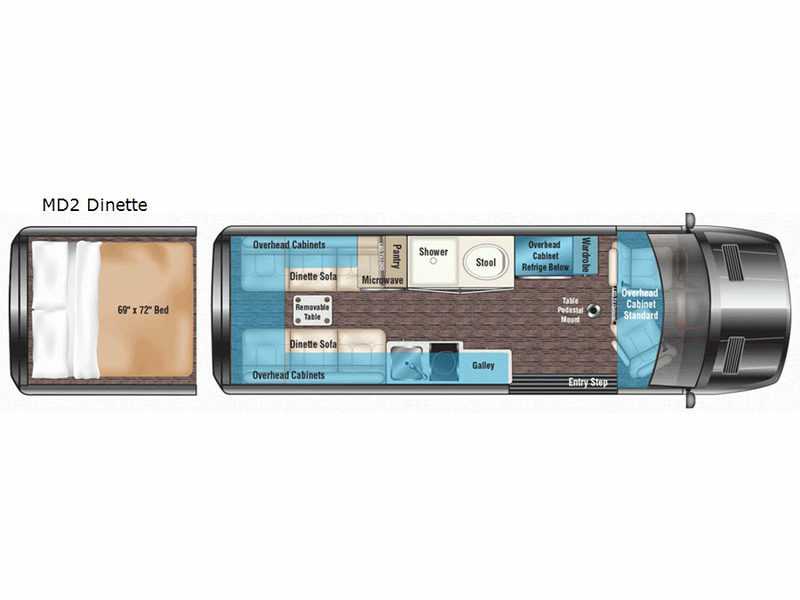 A cabin full of artfully installed appliances and intuitive electronics offer the utmost in convenience and luxury. 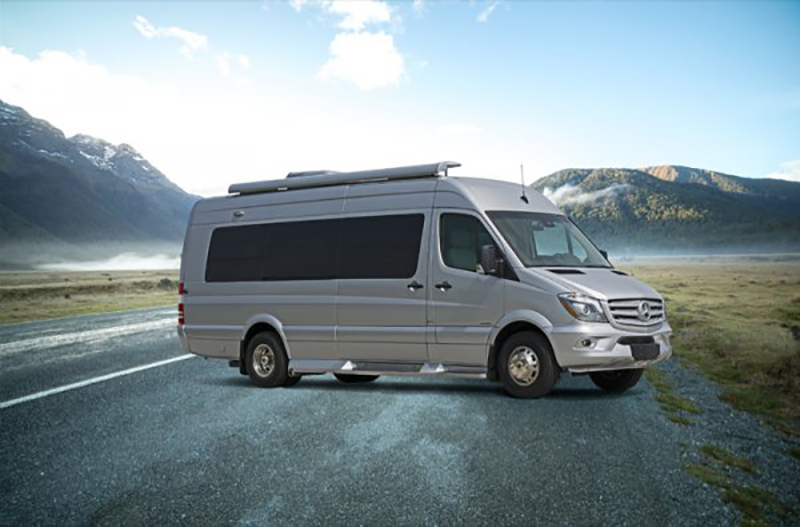 The same state-of-the-art lithium-ion battery power system that’s available on the longer-wheelbase Passage model lets you replace the noise and nuisance of a fuel-gulping generator with one of the safest, most reliable and environmentally friendly sources of AC/DC power. Air conditioning? Check. Suburban tankless water heater? Check. Solid-surface countertops with an induction cook top? 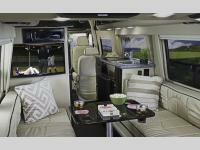 Satellite TV, WiFi and premium sound? It’s all there. 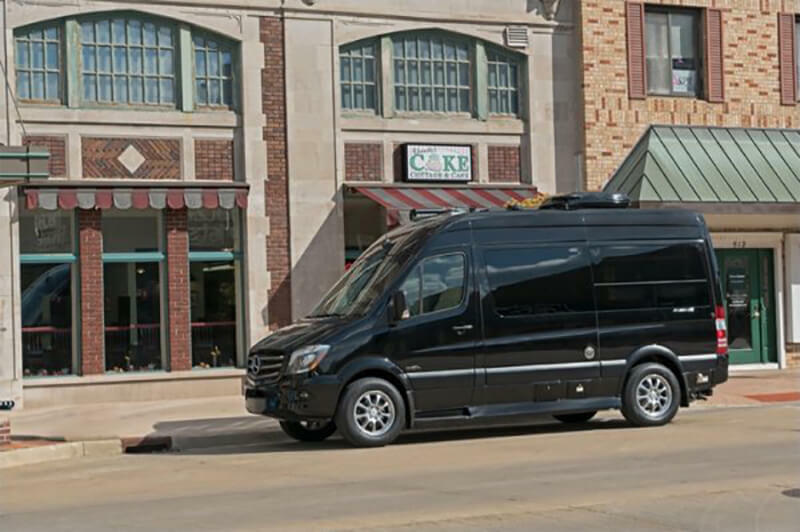 All wrapped within legendary Mercedes-Benz safety and performance engineering – and a 19-foot platform that allows you to navigate the urban jungle as confidently as you explore the roads less traveled.